For the fourth-straight week, Fedor Holz leads both the overall @GPI rankings and the 2016 POY race. @Phil_Hellmuth is among the 19 players joining this week's @GPI top 300, led by Fedor @CrownUpGuy Holz. Each week, the Global Poker Index releases a list of the top tournament poker players in the world using a formula that takes into account a player's results over six half-year periods. For a look at the entire list, visit the official GPI website. Here's a look at the rankings as of July 6, 2016. 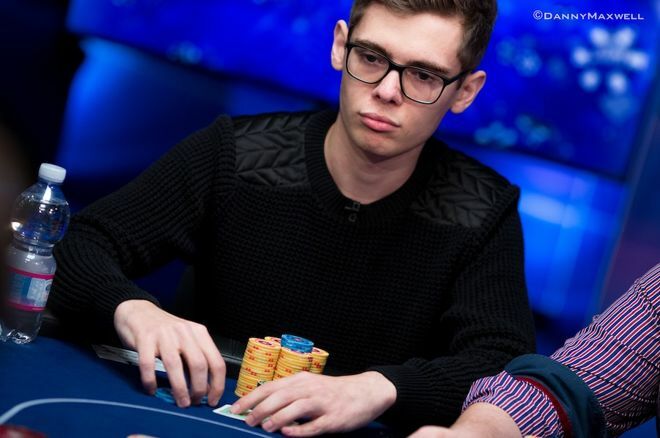 For a fourth-straight week, Fedor Holz leads the 2016 Global Poker Index Player of the Year race. Holz bolted to the top following a recent string of high roller successes, and has remained there for the last month despite not having picked up any cashes at the 2016 World Series of Poker. By contrast, Jason Mercer's WSOP continues to go well where he's collected 10 cashes, made four final tables, and won two bracelets. That run has moved him up into second position in the 2016 POY race (while he's raced way ahead of everyone for 2016 WSOP Player of Year). Event #33: $1,500 No-Limit Hold'em Summer Solstice winner Adrian Mateos moved up three spots to No. 3 this week. Meanwhile at the bottom of the top 10 are three newcomers — Chance Kornuth (No. 7), Bryan Piccioli (at No. 9), and Paul Volpe (No. 10). Every spot in the new top 10 of the overall GPI rankings changed from last week except one — the No. 1 spot where Holz remains for a fourth-straight week. Mercier has moved up a couple of notches to second position, puting him one place away from returning to the No. 1 position he last occupied during the last week of September 2015. There was more minor maneuvering up and down the top 10, including David Peters moving up from No. 9 to No. 7 after having secured his first WSOP bracelet in Event #56: $1,500 No-Limit Hold'em Tuesday night. Looking just below the top 10, Andjelko Andrejevic, who recently won a $3,500 buy-in event at the Deep Stack Extravaganza III at the Venetian for a $655,247 score, made a big move from No. 46 to No. 15. As has been the case each week this summer, there's been a lot of movement throughout the GPI top 300 as players earn cashes and points at the WSOP. Nineteen players moved up onto the newest list, with David Diaz the highest-ranked among them. Diaz went from No. 324 to No. 182 after picking up a couple of WSOP cashes and final-tabling that aforementioned Deep Stack Extravaganza III event. Michael Gathy also joins the list, moving from No. 493 to No. 281 after winning Event #35: $5,000 Six-Handed No-Limit Hold'em at the WSOP. Robert Mizrachi won Event #3: $10,000 Seven-Card Stud Championship to start his summer, and since then has collected six more cashes at the Rio All-Suites Hotel and Casino as he moves from No. 344 to No. 295. Phil Hellmuth also makes a return to the list, jumping from No. 380 to No. 294 after cashing three times at the WSOP so far this summer. Hellmuth's highest-ever GPI ranking was No. 4 back in December 2012. Gathy's big leap places him atop the newest "Biggest Gains" list, with Dan O'Brien next in line after going all the way from No. 357 to No. 155. O'Brien has four WSOP cashes plus had another deep run in the Hollywood Poker Open at The M Resort Casino Spa where he made the final two tables before finishing 16th. Finally, looking strictly at players still inside the top 300, Upeshka De Silva dropped the most after falling from No. 142 to No. 243. With the Main Event just two days away for the WSOP (really! ), the Goliath Phamous Poker Series at Planet Hollywood, the Wynn Summer Classic at the Wynn, and the Venetian's Deep Stack Extravaganza III also continue in Las Vegas. To view the GPI overall rankings in their entirety, visit the official GPI website. While you're at it, follow the GPI on Twitter and its Facebook page. $600 @runitupreno, bb300, 13k effective, vil covers. Vil: younger, new to table Vil raises Mp2 to 800, I have Jh9h in Co Hero?